the National Law Enforcement Museum, 2007.139.1. January also marks the birth and death of one of America’s most notorious gangsters. Al Capone was born on January 17, 1899 and became a central focus of federal law enforcement during Prohibition. Two federal agencies began working to bring Capone to justice. Eliot Ness was a Prohibition Bureau agent charged with the task. His team raided illegal stills and significantly slowed the cash flow of Capone’s boot-legging operations. Meanwhile, I.R.S. Agent Mike Malone went undercover as a wise guy from Philadelphia to infiltrate Capone’s gang, but the actual take-down of Al Capone is credited to a quiet I.R.S agent named Frank Wilson. Wilson was one of several I.R.S. agents who were investigating Capone’s financial dealings. By some estimates, Capone raked in $60 million in illegal liquor sales during Prohibition. Combined with another $25 million from gambling establishments and $20 million from vice and other illegal activities, Capone, became of the country’s richest gangsters. Using forensic accounting, Wilson and his team were able to gather sufficient evidence to indict Capone on charges of tax evasion. Capone was convicted and sentenced to eleven years in prison, most of it served in Alcatraz. After eight years, Capone was released from prison in ill health from the effects of syphilis. He suffered a stroke and died January 25, 1947 at the age of 48. 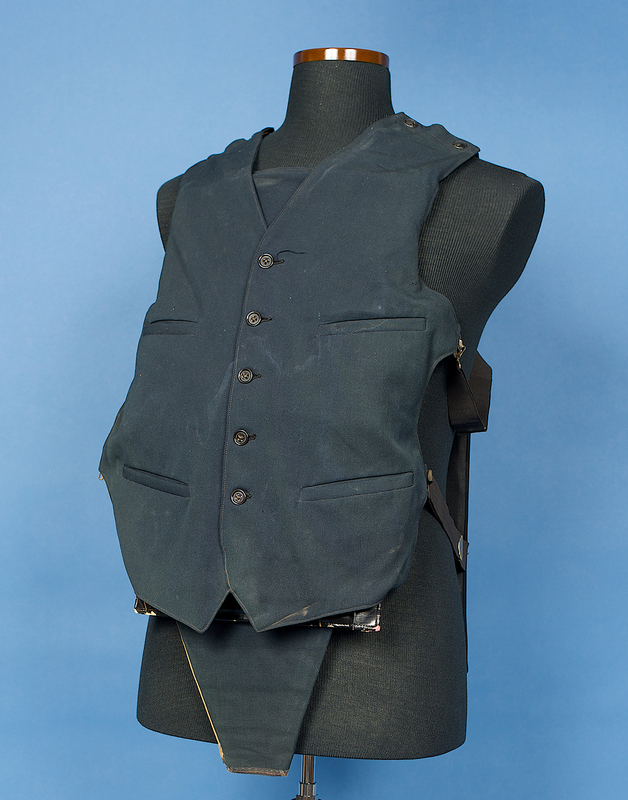 A bullet-proof vest once worn by the notorious gangster is part of the National Law Enforcement Museum’s collection, and will be on display in the History Beat exhibit when the museum opens this fall. “Prohibition is an awful flop. We like it. It can't stop what it's meant to stop. January marks two important dates in law enforcement history. The 18th Amendment, also known as the Prohibition Amendment, went into effect on January 16, 1920. Just over a decade later on January 7, 1931, the Wickersham Commission released its much-awaited report on Prohibition and crime. Prohibition did not ban consumption of alcohol, only its sale, transport, and manufacture. Advocates hoped that a dry country would mark a return to family values and decrease crime. Instead, crime—particularly organized crime—increased. President Hoover was looking for a way to enforce Prohibition and curb organized crime when he appointed the 11-member Wickersham Commission. Officially known as the National Commission on Law Observance and Enforcement, it was spear-headed by former Attorney General George W. Wickersham and contained some of the most noted names in law enforcement at the time. The primary author of the Commission’s final report was August Vollmer, widely considered the father of modern law enforcement for bringing science into police work and his emphasis on criminal justice reform. After two years, the Commission published its findings. In the 14-volume report, members were unable to reach a consensus on the efficacy of Prohibition. In addition, the report assessed police interrogation tactics, corruption in police ranks, and problems communities faced when enforcing laws related to Prohibition. The report criticized police for what it called a “general failure” to make arrests in many murders and bank robberies. President Hoover noted that while the report indicated enforcement of Prohibition was ineffective, the commission did not unanimously favor repealing the 18th Amendment. 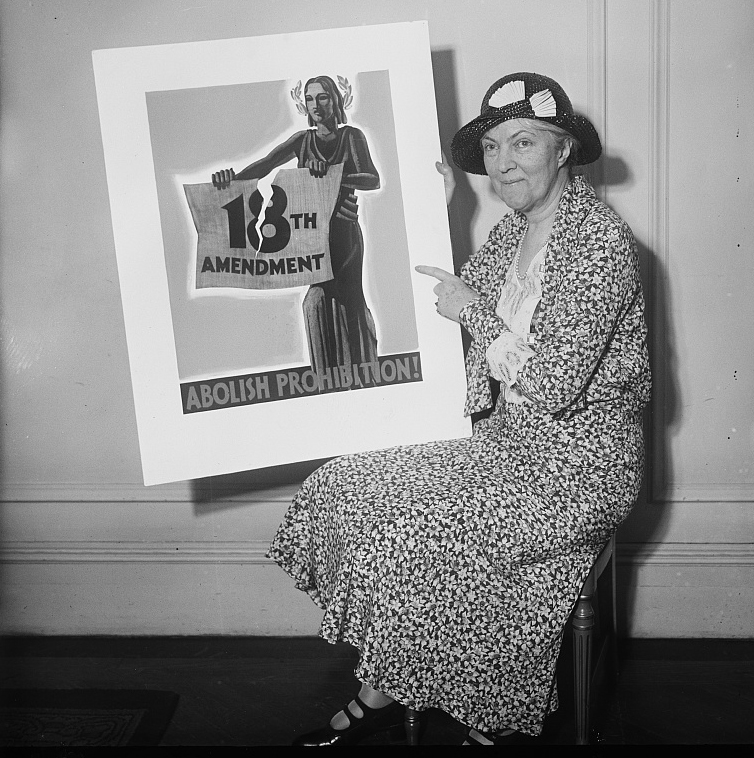 Nonetheless, the 18th Amendment was repealed almost two years later. *From New York World Columnist Franklin P. Adams’ poem on the Wickersham Commission’s report. In the mid-1990s, church arsons were on the rise in the American South. A number of suspicious fires at churches with predominantly African American parishioners pointed to possible hate crimes. In June of 1996, the Bureau of Alcohol, Tobacco, Firearms and Explosives (ATF) was investigating suspicious fires at 37 churches in the South that took place over an 18- month span. Parishioners and law enforcement sought new ways to raise awareness of the problem and bring the arsonists to justice. Paper fans such as this one were sent to churches around the country. 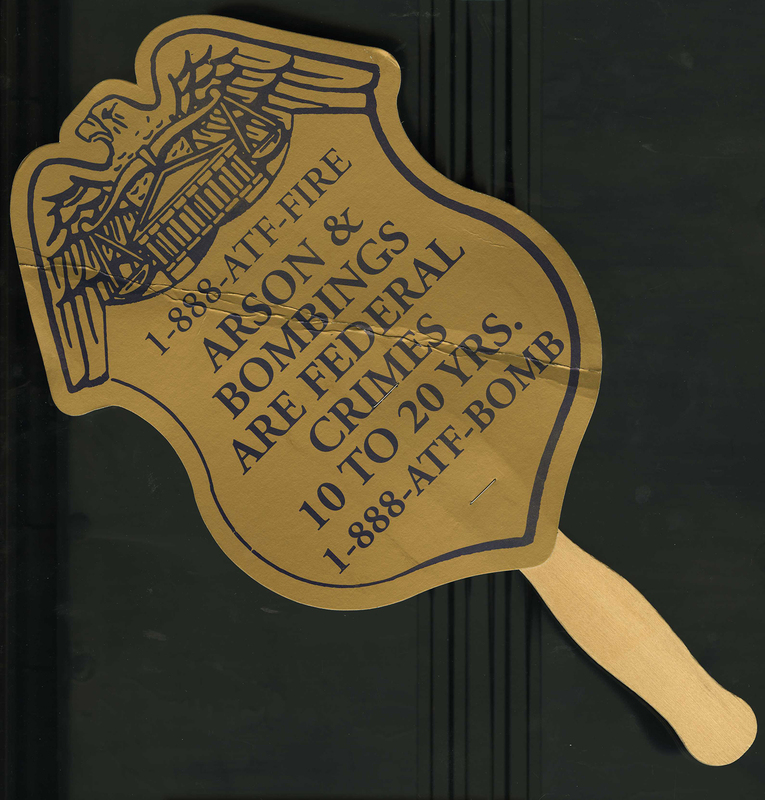 The fan provides a toll-free number for people to report suspicious activity and warns potential arsonists of the 10 to 20-year prison sentence for those convicted of setting the fires. The National Law Enforcement Museum is just months away from opening its doors. When that happens this fall, it will be the culmination of more than a decade’s worth of planning and persistence. This long journey will have been well worth the wait. 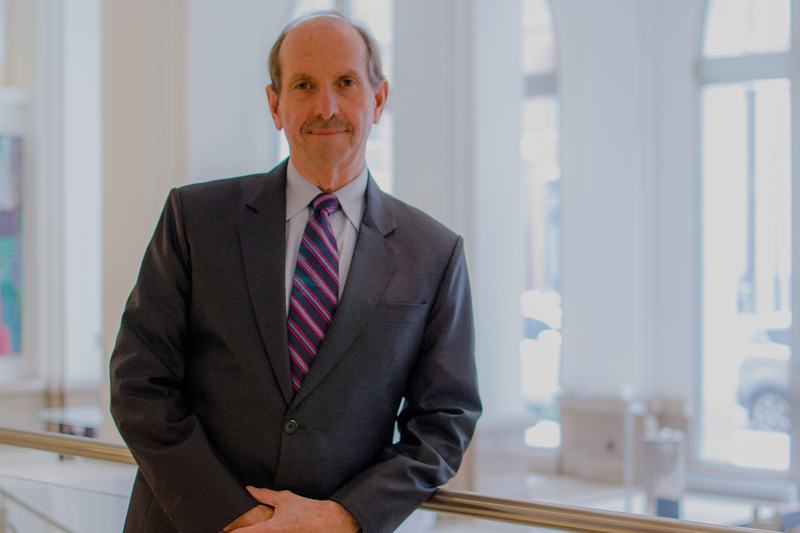 The Museum’s befitting location in the Judiciary Square neighborhood in our nation’s capital marks the first time a national museum dedicated to telling the story of American law enforcement will have a permanent home. Within the walls of the Museum’s beautiful and contemporary exterior, intriguing objects from our collection of more than 20,000 artifacts, interactive exhibits and educational workshops will appeal to a wide range of visitors, including citizens and those currently serving or with histories of serving in the law enforcement profession. More importantly, the Museum will provide a platform for constructive dialogue to help strengthen relationships shared by law enforcement and the communities they serve. As a former law enforcement professional, the creation of this Museum makes me proud. I’ve been on the job less than a year, but I can tell you the feedback I’m getting about the Museum is overwhelmingly positive. The Museum offers a meaningful opportunity to help citizens understand the role of law enforcement by providing a ”walk in the shoes” experience in the history of law enforcement, its current practices and what the future may hold. I want to thank you for accompanying us on this long journey and I look forward to seeing you when the Museum opens this fall.